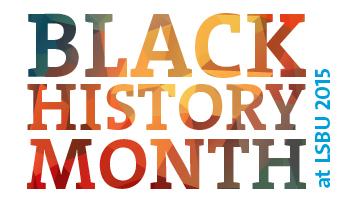 For 35 years Black History Month has been the central point of focus for a nationwide celebration of Black history, arts and culture throughout Britain. An evening with motivational speaker Lanre Solola who is the founder of Inner Ambitions – which provides expert coaching and training for schools, higher education institutions and not-for-profit organisations to develop leaders, increase personal impact and create business growth. An evening of poetry and literature with literary activist, live artist and poet Dorothea Smartt, and award- winning authors Jocelyn Watson and Judith Bryan. Social historian Stephen Bourne speaking on his latest award-winning book Black Poppies, telling the story of the experiences of Black men and women from the trenches to the music halls during WWI. This event will be complemented by a photographic exhibition of original Black Poppies collected images from Monday 12th October for two weeks in the foyer of the Keyworth Centre. Race in the Age of Obama with Gary Younge, an award-winning Guardian newspaper journalist and writer. Gary was awarded an honorary degree by LSBU and is currently a Visiting Professor of Sociology and Politics. Screenings of two documentaries, Toni Morrison Remembers in which Nobel Prize winner, editor and professor, Toni Morrison discusses the craft of writing and her aims for the stories she tells, and Looking for Love, a wonderfully warm, funny, poignant documentary by Menelik Shabazz, exploring dating and love in the Black community. Soul of Britain - A celebration of soulful sounds from known and lesser known UK Black artistes who have inspired and contributed to the fantastic genre of UK Soul. Dr Shaminder Takhar - a Reader in Sociology whose research is centred around race, ethnicity, gender, sexualities, education and social justice - has been working with LSBU’s Equality, Diversity and Inclusion Team which is leading the University’s Black History Month activities. Dr Takhar said: “More than half of LSBU’s students are from a Black and Minority Ethnic background, and embracing equality and diversity is fundamental to our success and growth.